A popular Pleasanton teacher died one day after his retirement, according to the East Bay Times. Eric Thiel, 65, was a biology teacher at Amador Valley High School. Friends said he retired Friday, which was the last day of classes before summer break. He died the following day. The cause of death is not yet known. Pete Suratos reports. 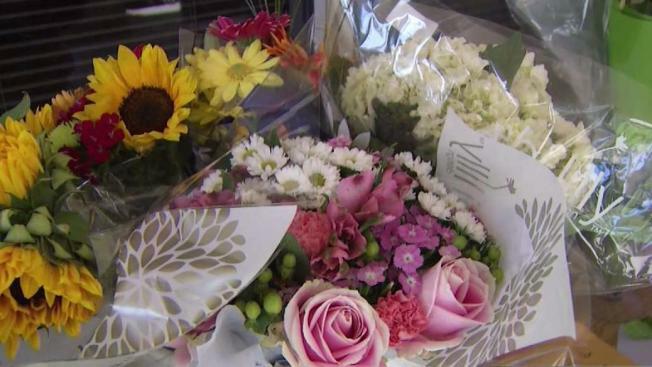 An East Bay school community is in mouring after learning about the death of a beloved biology teacher who died one day after retiring. Eric Thiel, a longtime teacher at Amador Valley High School in Pleasanton, had just returned from a movie theater over the weekend when he passed away unexpectedly, according to The East Bay Times. He was 65. News of Thiel's death prompted students and teachers to create a makeshift memorial — packed with flowers and notes — on the school's campus. Thiel is being remembered as a kind, incredible teacher dedicated to mentoring young minds, according to Pleasanton Unified School District Communications Coordinator Patrick Gannon. "An amazing person," Gannon said. "A mentor to his students. A lot of students have been reaching out saying that (Thiel) is the reason that they are where they are. They just credit a lot of their success to (Thiel)." Among his accomplishments, Thiel helped create the AP Biology course in the district, Gannon said. Thiel leaves behind a wife and four children, according to Gannon. A GoFundMe page has been set up for Thiel family. As of Tuesday, it had already surpassed its $18,000 goal.